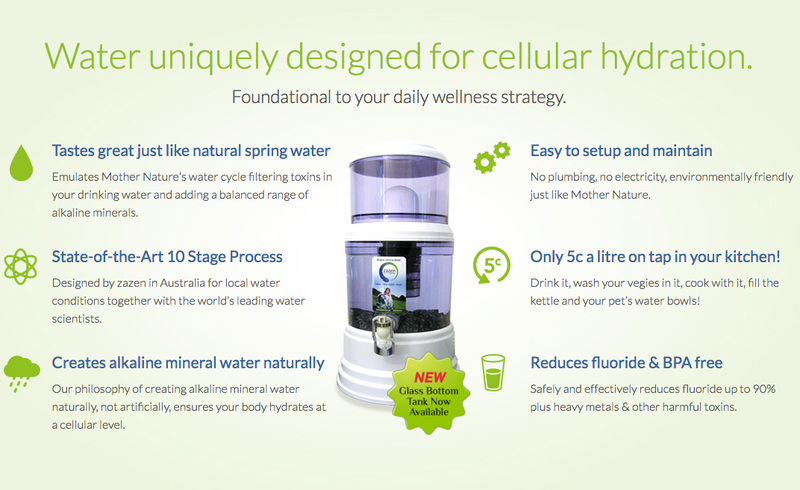 Cellular hydration is the essential ingredient and your foundation for any long term plan for health and vitality. 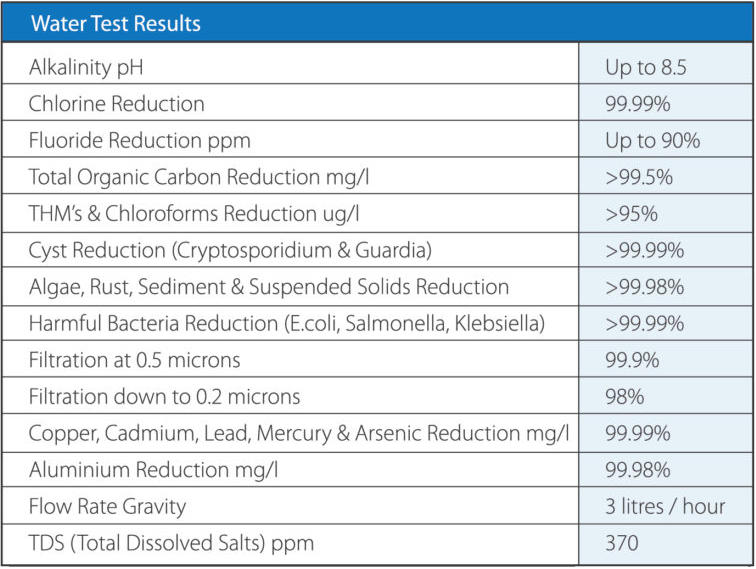 Stay hydrated with vitalising zazen Alkalising Water! 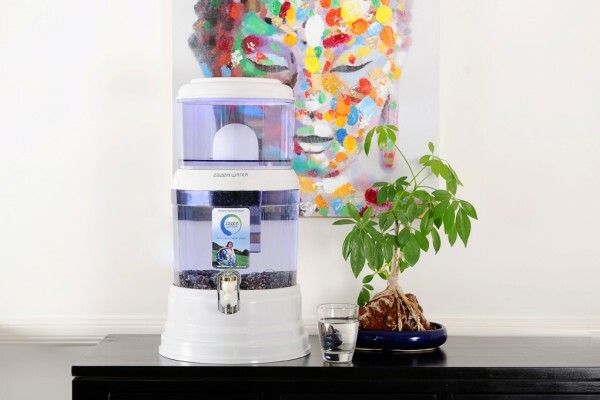 Replicates Mother Nature’s water cycle transforming your drinking water into refreshing, alkaline mineral water that hydrates you immediately at a cellular level! No plumbing or power required. Hand blown, blue tinted glass. It is not toughened glass. “I really appreciate the time you took to answer all my questions. I purchased a filter and it arrived on Saturday. Absolutely loved the beautiful gift wrapping and presentation of it. Felt like I was unwrapping something very special. Mother Nature does much more than filter water; it adds minerals and energy essential for hydration.